Fantasy artists will breathe easier to discover a less perilous alternative to drawing dragons from life. Dracopediagrants you safe, easy access to the world's most prominent dragon species, from tiny, innocuous feydragons to the ferocious wyvern. For years, artist William O'Connor has traveled the globe, studying dragons in their natural environments. His findings, field notes and sketches have been compiled for the first time into this single, beautifully illustrated compendium - a natural and cultural history of the beasts as well as a step-by-step drawing workshop. 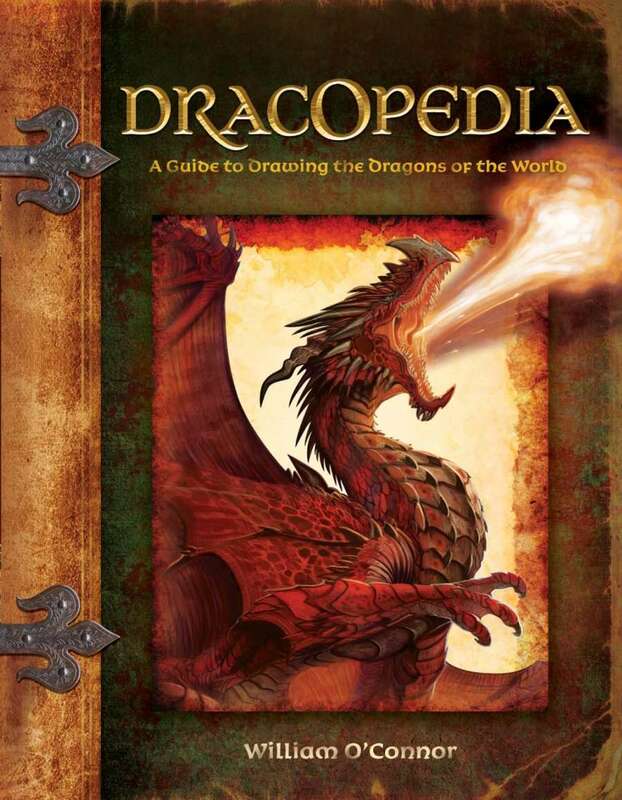 Dragons have terrorized and delighted humans for centuries ... continue the tradition with Dracopedia. It's packed with inspiration for putting "fierce" into your fantasy art, as well as the facts to keep your dragons true to life.